Here is the perfect family home: beautifully fenced property with landmark trees, enormous living areas, several family bedrooms, guest rooms, maid’s quarters and guest house, five garage bays, massive amounts of storage space, large pool with diving rock, generous hardscape and yard for children, many courtyards and gardens for the family. This Preston Hollow estate home is charming from the front, commodious on the inside, and extravagantly bucolic with 40 acres of views of the neighboring treetops from the extensive rear garden. Across the street are the lakes, creeks and trees of the 15-acre Phillips estate and the adjacent 25-acre Hicks estate that you will see ascending in the distance. The cooling southeastern summer breezes filter through the lush environment of the adjacent estate properties and across the yard, verandahs and gardens of the home. Brick pathways meander through the lush setting to the pool, terraces, courtyards and even to the hidden, small garden house and workshop. In the evening the tree lighting softly illuminates the property. For decades, John Watson of John Watson Landscape Illumination, used photographs of this property to showcase on the front of his brochure his firm’s work. The original lighting has recently been updated. 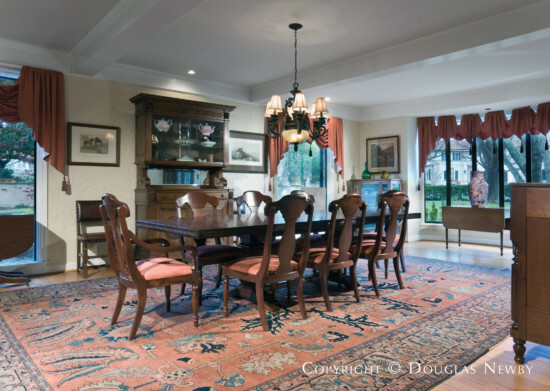 A family can spill out from the 750 sf informal living room to the terrace and pool or the family can gather for a formal holiday dinner for 40 in the formal dining room. Like an accomplished hostess, this home welcomes, puts at ease, and leaves a guest dazzled by its warmth and underlying grandeur. It is both elegant and rugged. Built on underlying stone, this home is one of the few with a basement for the mechanical systems. The main part of this residence includes a formal living room, a 28 foot dining room and an enormous informal living room with tall ceilings and pecked cypress wood walls. Wide hardwood floors, and stone and brick are found throughout the home. The kitchen is open to an informal breakfast room and adjacent to the morning room and close to staff break rooms and living quarters. 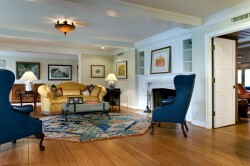 In addition, there are bedrooms on the second level along with a very large recreation room or informal living area. A master bedroom wing along with additional bedrooms are on the first floor The master bathroom has recently been renovated as have other bathrooms. Virtually every room has beautiful, private green views. The 2,000 sf guest quarters are finished as a separate two-story home with living areas and veranda on the first floor overlooking the pool and garden. The five garage bays and ample hardscaping accommodate a great number of vehicles. Here in the heart of Mayflower Estates, the most desired neighborhood in Preston Hollow is a classic Preston Hollow home with readily apparent appeal from the street. The real surprise is the interior, its size, quality of construction and the evolution of the home as homeowners have showered it with affection. 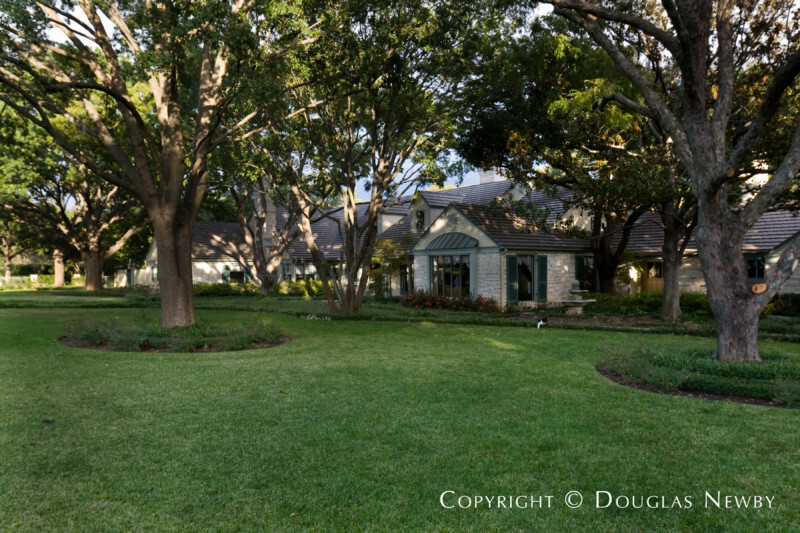 Not only is this the best family home, it is the best value for 1.288 acres in Preston Hollow. See Architecture blog post "If only President and Mrs. Bush could have waited"